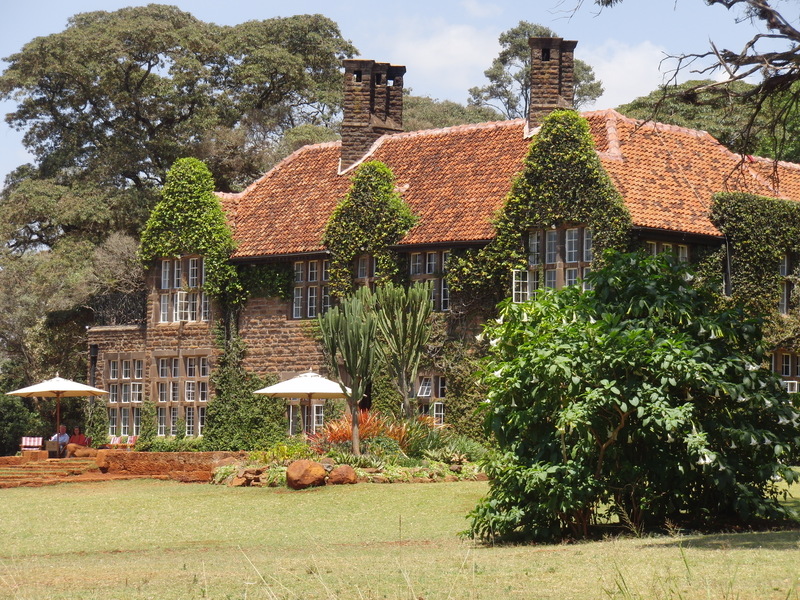 Located in the suburbs of Nairobi, Giraffe Manor is a perfect spot to either launch or wrap up your East African safari. This small, boutique guest house offers a unique residential experience. Built in the 1930s, the manor is full of antique character and the staff exudes with genuinely warm hospitality. Dinner is served family style so you will have an opportunity to meet and mingle with other guests who are all usually coming or going on their own safari adventures; the sense of camaraderie is strong and you will return home with many new friends. You do have an option for a private dinner if you are looking for something a little more intimate. 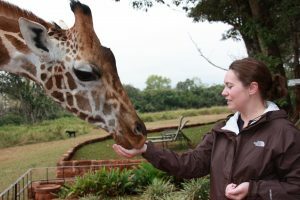 Your best friends may turn out to be of the animal variety and you will have countless opportunities to interact with the resident family of giraffes. They arrive early every morning and will join you for breakfast eating food pellets right out of your hand; if your brave, you can even kiss one! A 2-night minimum stay is recommended to give you plenty of time to play with the giraffes and experience all this property has to offer, including the nearby sanctuary where you can take nature hikes and see where the giraffes sleep. Giraffe Manor is family friendly for those wanting to introduce their kids to the safari experience (although, this is a malaria region). The rooms here are simple, yet comfortable. While they may lack the high-end furnishings and art you’ll find elsewhere, they more than make up for it in service and hospitality. The luxury here is found in the unique experiences and personalized attention to detail. You are encouraged to feel right at home the minute you arrive. Breakfast and Lunch will be served on the terrace and the menu will be light and fresh. I had some of the best fish ever for lunch one day and the perfectly seasoned veggies were always my favorite at every meal. Enjoy cocktails on the front lawn while admiring the giraffes and warthogs and wrap up the day with after-dinner drinks in the living room featuring big fluffy couches and armchairs and a very cozy fireplace. This entry was posted in Africa/Safari, Hotel Reviews and tagged Adventure Travel, family destination, Hotel, hotel review, Kenya. Bookmark the permalink.